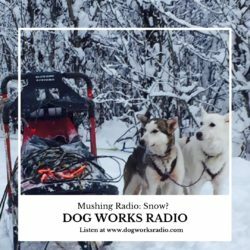 Join hosts Robert Forto and Alex Stein as they present Mushing Radio. On this episode we ask the question: Snow? It has been a late fall this year in Alaska and the snow is yet to stick to the ground and it is causing concern for this season. The Husky Life: On the Road!